Golf fans around the world are in for a treat because the Ryder Cup is back! The event pits teams from the United States and Europe against each other in a multi-formatted tournament taking place September 28-30. Teams are competing for pride and bragging rights, as the event is only held every two years and there is no prize money. The team at TGA Beach Cities knows what we’ll be doing this weekend—watching the events unfold on the Golf Channel and NBC. Each team includes 12 of the best golfers from each respective region. Days 1 and 2 are comprised of foursome and four-ball matches while the final day has 12 head-to-head singles matches. Each match is worth one point and whichever team gets to at least 14.5 points wins. If that’s a bunch of mumbo jumbo to you, don’t worry. The official Ryder Cup website has an awesome breakdown of the event. In the meantime, we put together five fun facts to get you started. While Team U.S.A. has always been comprised of solely U.S. golfers, Team Europe was previously only British golfers. Their team began including Irish golfers in 1947 and opened up to the rest of Europe in 1979. 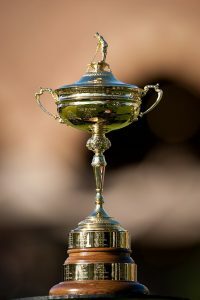 The event derives its name from the actual trophy – the Ryder Cup – which was itself named after the founder of the event Samuel Ryder. Standing at almost 1.5′ tall, the gold trophy has each winning team’s record engraved on it. The original trophy stays in Great Britain while an identical replica is used for promotional events and pictures. In the event a player gets hurt and can’t compete on the final day’s singles matches, the opposing captain can select one player from his team to also sit out. The match is halved and the remaining 11 matches take place as usual. The envelope comes into play because each captain has to place the name of their “injured” player in an envelope before the matches start. The U.S. and Europe alternate hosting the Ryder Cup, with this year’s event in France. The 2020 event will be at Whistling Straits in Wisconson and in Rome, Italy in 2022. Phil Mickelson will once again be competing on Team U.S.A. this year, making it a record-setting 12th appearance. Previously, he was tied with English golfer Nick Faldo at 11 appearances. 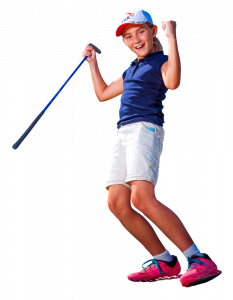 If a weekend of golf isn’t enough for your junior golfer, you can keep the fun going at one of our local TGA Beach Cities programs. Click Here for more information.